Pregnancy takes it toll on the body in many ways, and when you can’t get comfortable in bed and sleep well it can make matters worse. 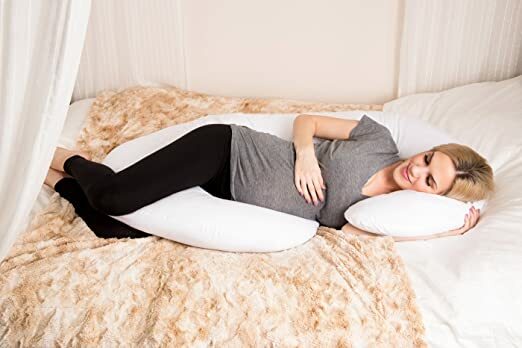 With one of these total body maternity pillows you will no longer spend the night shuffling around using multiple pillows to try and get comfortable. They are specifically designed to support your back, tummy, hips, neck and head, and tend to come in either a ‘C’ or ‘U’ shape. Although designed for use in pregnancy, they are also extremely useful for people with back pain and such conditions. In fact they are so comfortable many people use them when they aren’t even pregnant or have back problems, just to get a really comfortable night’s rest. Here is our pick of the best full body maternity pillows reviews 2017. The patented design of the Leachco Snoogle, which was developed by a registered Nurse & Mom, is a horseshoe shaped polyester pillow with machine washable cover. The Snoogle is designed to support the tummy of expectant Moms during sleep, and can also be used to support the back to help with problems like sciatica. 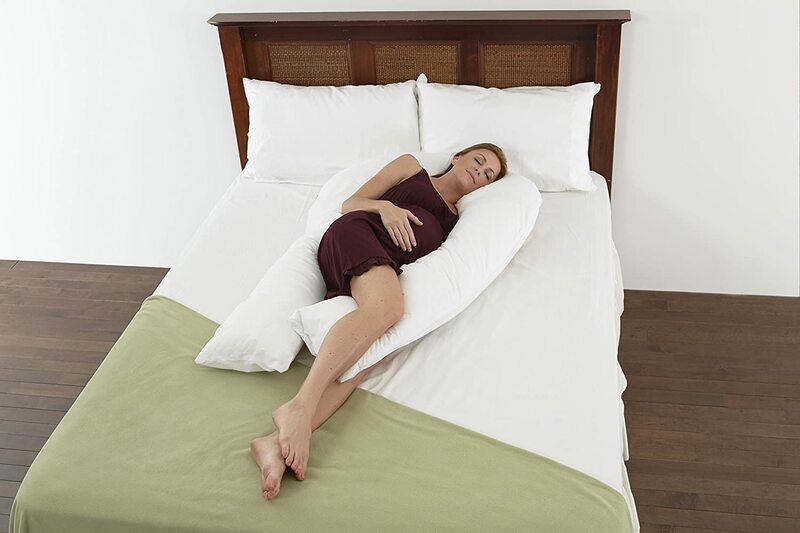 This total body pillow has been made to provide extra comfort without producing extra heat, so you can keep cool and comfortable during the night. The C-shaped design of the PharMeDoc Pillow was perfected by experts in California, and is produced using high quality adjustable polyfill materials. The removable machine washable cover is hypoallergenic as well as being dust mite resistant. The PharMeDoc is designed to provide superior comfort and prevent your from tossing and turning throughout the night. The pillow will also provide back support for people with a number of back conditions. The Naomi Cozy Pillow was made with expectant Moms in mind, and its U-shape design is aimed at providing simultaneous tummy and back support thanks to its contoured shape. The cover is removable allowing separate washing, and comes in a range of different colors. Many reviewers mention that this particular pillow is very large, and extremely comfortable. The US made Comfort-U, as the name suggests is another U-shape pillow. It is designed to both support the tummy during the night and prevent tossing and turning, giving you a better uninterrupted sleep. The makers claim the Comfort-U is filled with a new synthetic fiber called an extended polymer, which is supposed to allow air to pass more freely. As usual, the pillow has a removable cover which is machine washable. So there you have our rundown of the best full body maternity pillows reviews 2017. We hope you find you find the perfect pillow to give you a great start on your journey into motherhood. And don’t forget that these pillows are also designed to help people with back problems or who are recovering from injury too. 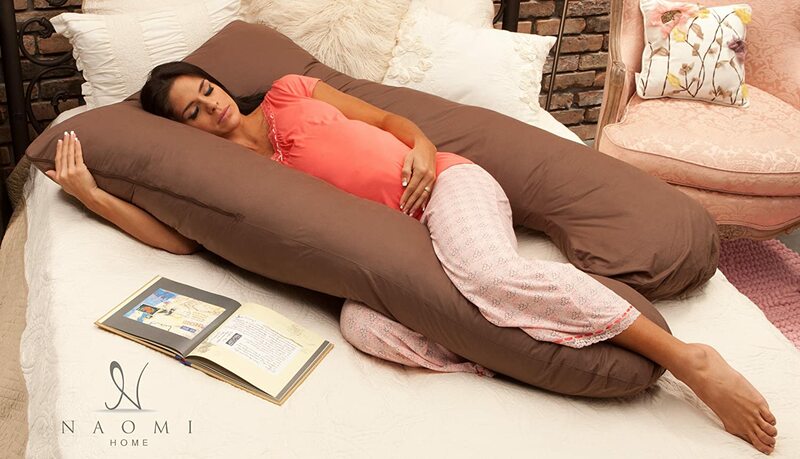 To see a full selection of all the total body pregnancy pillows on the market -> Just Click Here.